Just stop your crying – it’s a sign of the times. 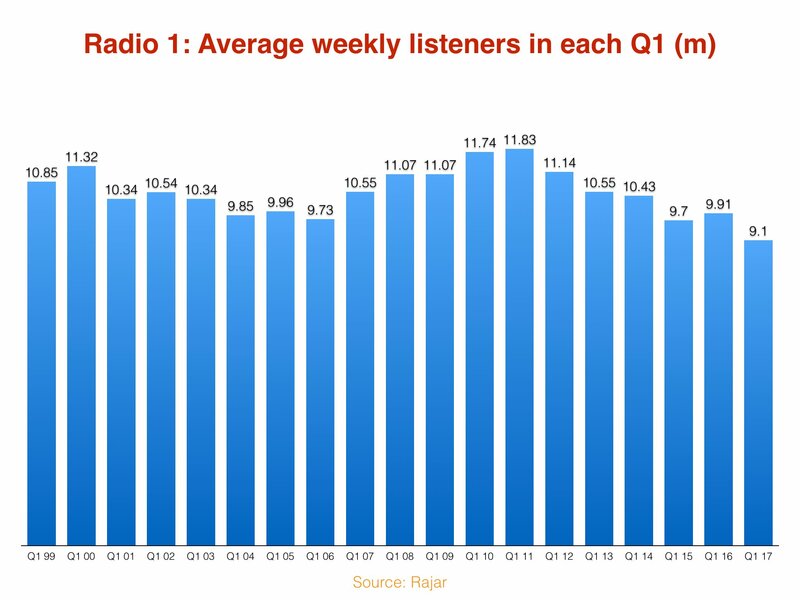 BBC Radio 1 has posted its worst quarterly Rajar result in history. The station’s average weekly audience fell to just 9.1m in the period – representing around 14% of the total UK population, and down by more than 2m people compared to five years ago. Year-on-year, Radio 1’s audience dropped by 804,000 compared to the three months to end of March 2016. These are historic figures for more reasons than one. According to MBW’s sources, Spotify now comfortably boasts more than 9.1m active users in the UK market (and is believed to be up towards the 10m mark on a monthly basis). It’s the first time, therefore, that Spotify’s UK audience has surpassed that of the BBC’s flagship new music radio network. Spotify has poached key Radio 1 staff over the past 18 months including George Ergatoudis – who left his role as R1’s Head of Music to become Spotify UK’s Head of Content Programming in late 2015. Last year, BBC Radio 1Xtra’s respected music chief Austin Daboh also made the leap as he was named Spotify’s Senior Editor, Content Programming UK. Quarter-on-quarter, Radio 1’s Q1 audience fell by 459,000 in the first three months of 2017. 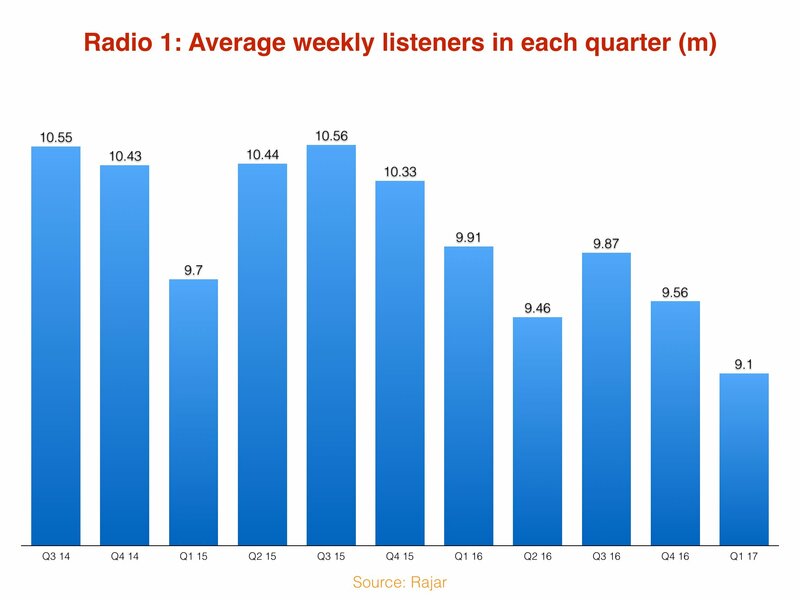 In Q4 last year, the station’s Rajar number stood at 9.56m people – its lowest last-quarter tally since 2003. There was better news for the BBC elsewhere in Q1 this year. According to Rajar, BBC 6 Music posted its biggest ever weekly audience in the period with 2.35m.